Thank You for 25,000 Views! I started this blog really just for myself, to keep sort of an “online diary” of things I was trying, what worked/didn’t work, how long I’d been locked up and how that felt, etc. This is still an awesome tool for doing just that, but I do wonder sometimes if I would have stuck with it for as long as I have if it weren’t for all of the other people who also read it and hopefully get at least a smile from time to time! Every time I see a new follower, or approve a comment from someone telling me how much they enjoy reading about my life, it kind of keeps me wanting to continue putting out new content as often as I have the time to sit down and write things down! And what is even more amazing is how writing always seems to come pretty easy to me because all I have to do is take some time to recap a few events that I lived through recently. I don’t think I’d even know where to START with writing fiction! 🙂 Yes, sometimes I do feel like the themes of my posts tend to repeat themselves a lot, especially during a longer lock-up period. Bla bla bla, she orgasms. Several times. I don’t. But I have to say that the experiences truly never get old! Anyhow, in case anyone is interested in my stats (otherwise I’m putting this out here anyway, even just for my own records!) 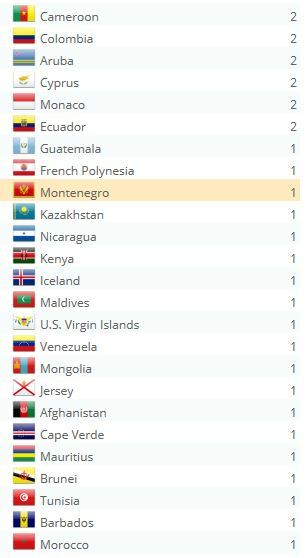 I now have views in a total of 97 countries! So that number has also almost doubled in the last four months! 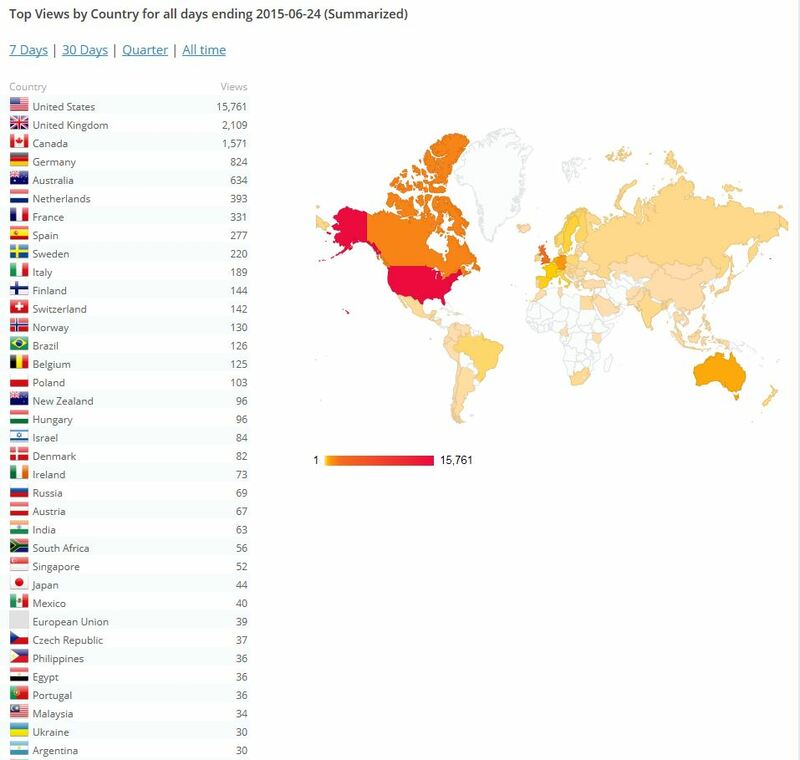 Here is a breakdown of where they are coming from around the world. Still mostly in the U.S., but that share has come down to about 63% of my total views. So again Thank You to everyone, everywhere, for visiting! Locked Dads – Happy Father’s Day!